The church is conveniently situated on Rt. 9 (Broadway), one mile north of the thruway and 287. The address is 56 S. Broadway & phone number is (914) 631-6372. If you are traveling South on the thruway ours is the first exit (Exit 9) almost immediately after you go through the tolls at the Tappan Zee bridge. At the end of the exit ramp turn right. The church is the gray granite stone building one mile north on the right hand side of Broadway (Rt. 9) at Elizabeth Street. Turn right on Elizabeth Street. Drive past the church to find the entrance to the parking lot on the right. If you are traveling North on the thruway (or west on 287), take Exit 9 (Tarrytown). Turn left at the end of the exit ramp. Proceed to the next light and turn right on Broadway (Rt. 9). Travel north approximately eight tenths of a mile. The church is the gray granite stone building on the right hand side of Broadway (Rt. 9) at Elizabeth Street. Turn right on Elizabeth Street. Drive past the church to find the entrance to the parking lot on the right. If you drive South on Rt. 9, drive through Sleepy Hollow on Rt. 9 which is Broadway. You'll drive past the Sleepy Hollow High School on your left and then Patriot's Park on your right. 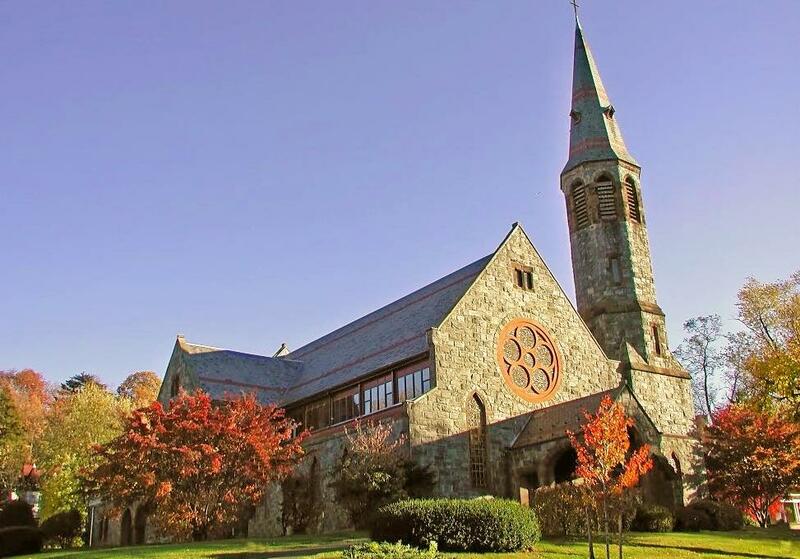 After the park you're in the business district of Tarrytown. Go through two stoplights. The second light is Main Street (there's a 7/11 store on the Southwest corner of the intersection). Continue straight on Broadway one block to Elizabeth Street. First Baptist is the church in front of you on your left. Turn left on Elizabeth Street. Drive past the church to find the entrance to the parking lot on the right.